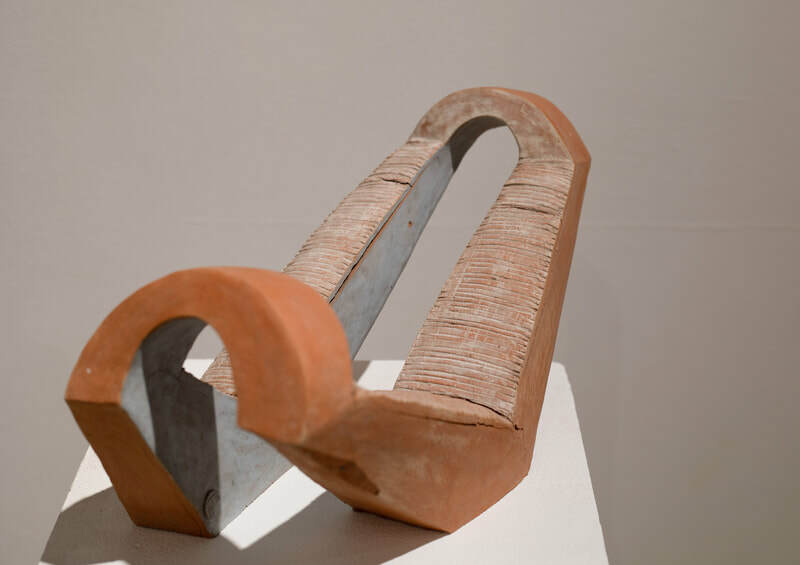 Galateea Contemporary Art invites you, on Wednesday, February 20, 2019, at 7 pm, to varnish Liviu Russuʼs exhibition BUILT- in. 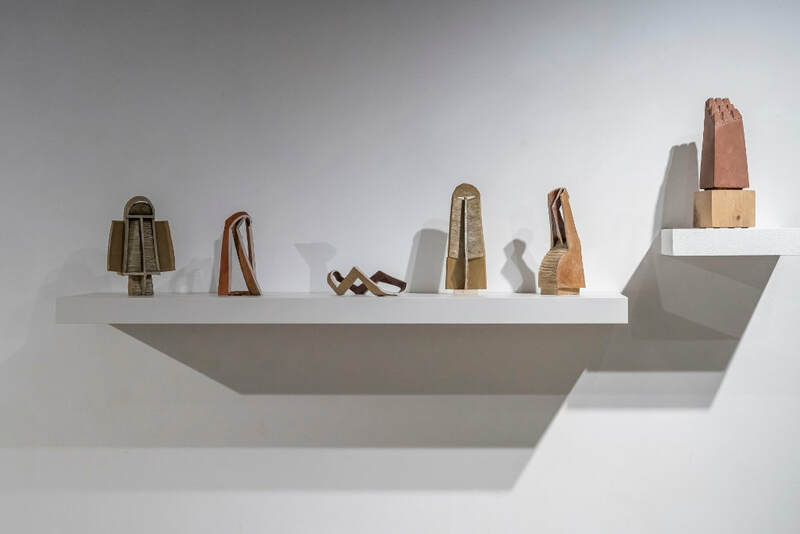 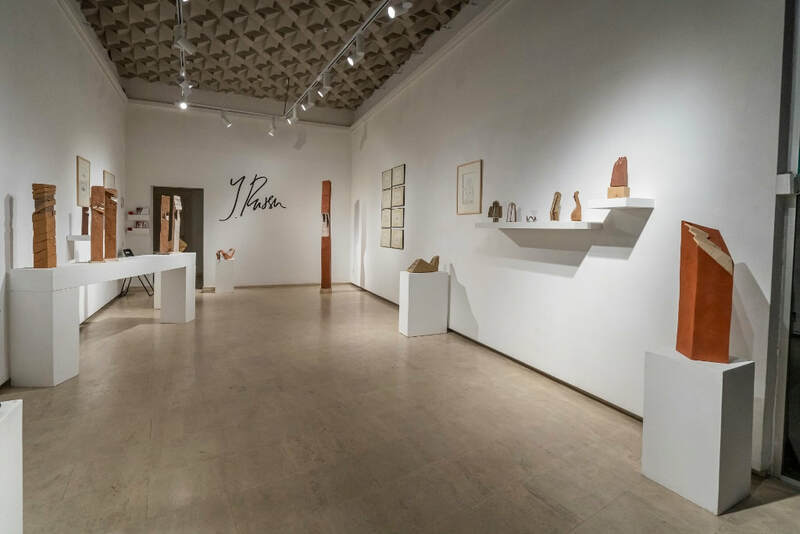 Exhibition BUILT- in from the Galateea displays a part of Liviu Russuʼs ceramic sculptures belonging to the different series of works he made in wood, stone or bronze, dominated by the obsessive problem of building, immolation, construction and deconstruction. 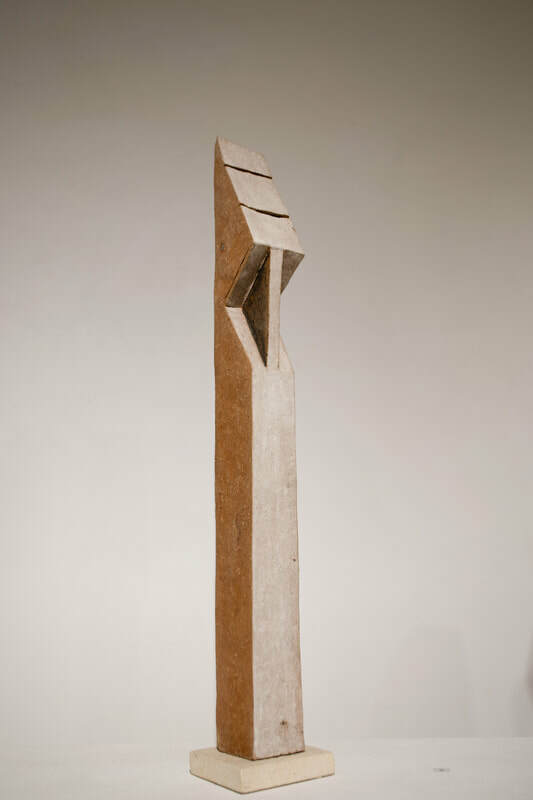 Artistʼs sculptures have always been preceded by drawings and sketches. 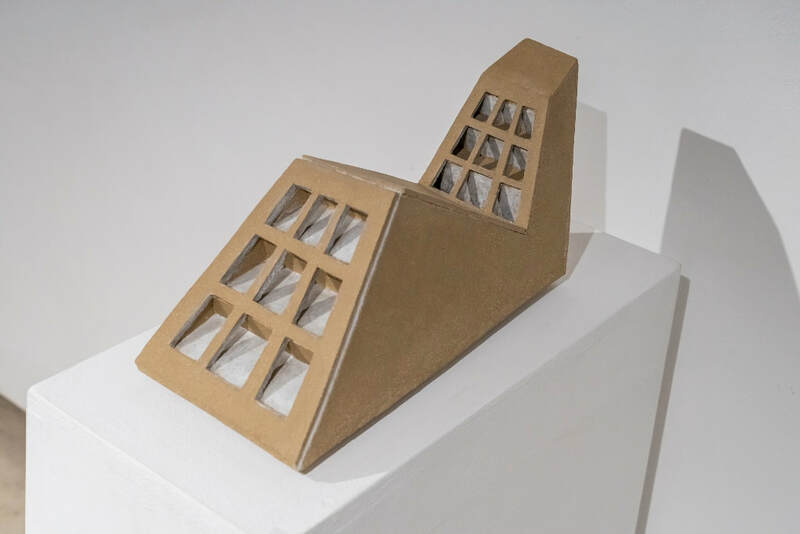 “One of the remarkable features of Liviu Russuʼs plastic art is its intrinsic monumentality. 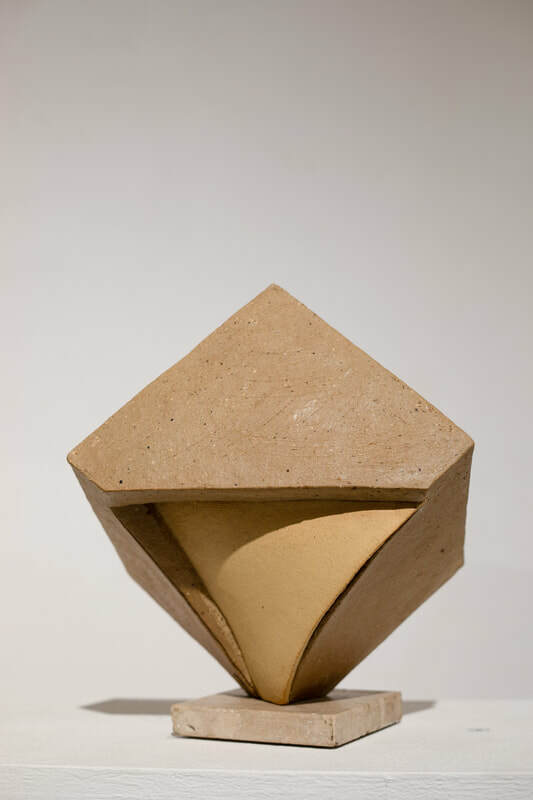 No matter whether one speaks about small sculpture or about symposium sculpture, the inner coherence is preserved, the volume proportions are harmonic, a motif / a composition of shapes claims an unharmed identity irrespective of its dimensions. 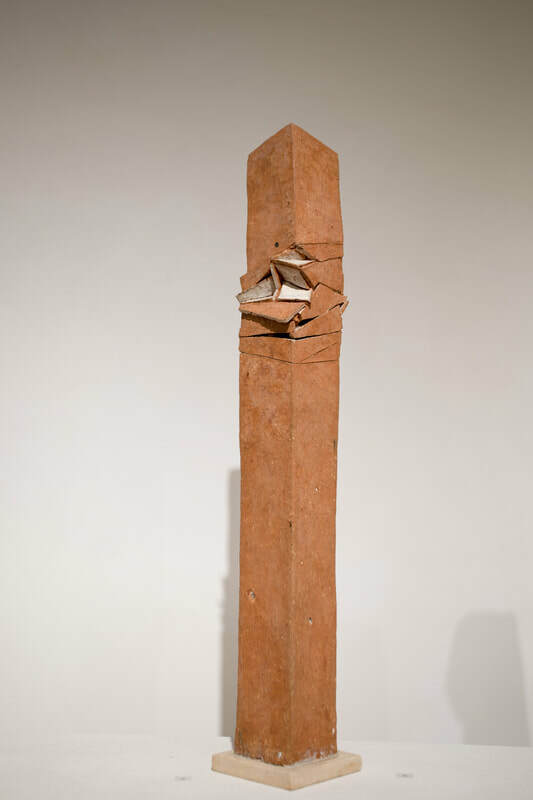 The monumentality of the piece is evident in the conceptual core, in sculptorʼs artistic basic thought. 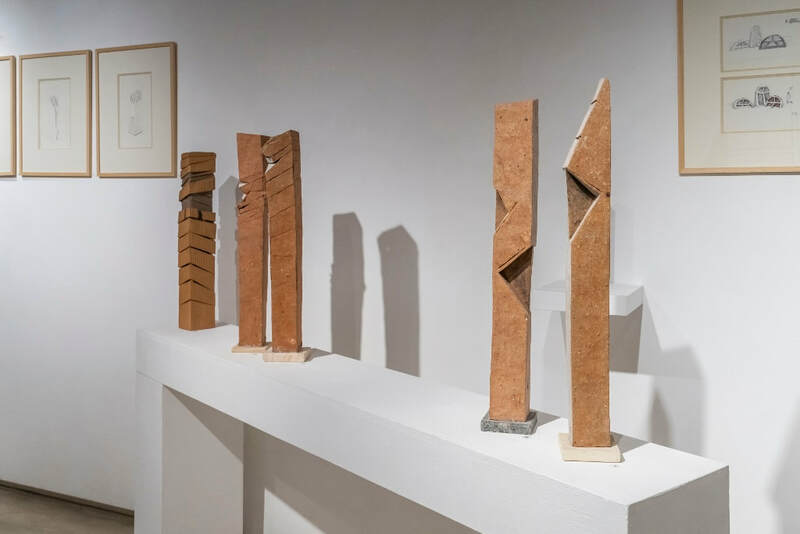 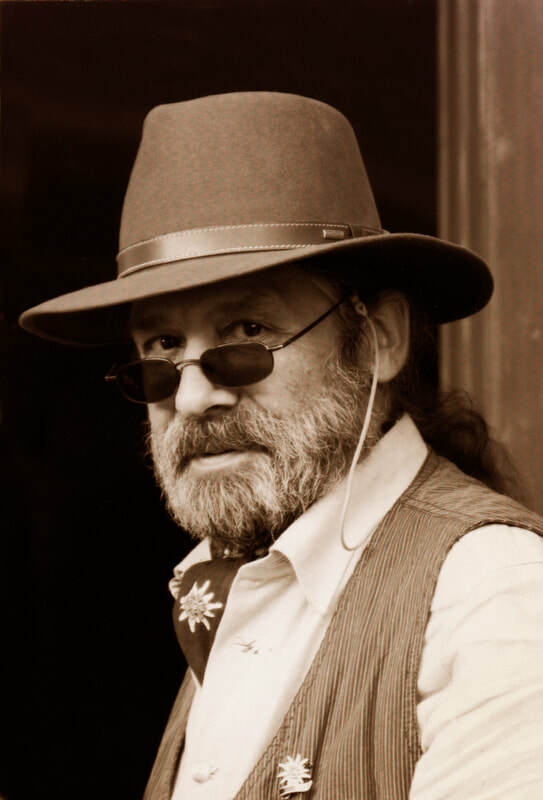 The artist was hall-marked by the 9/11 American tragedy. 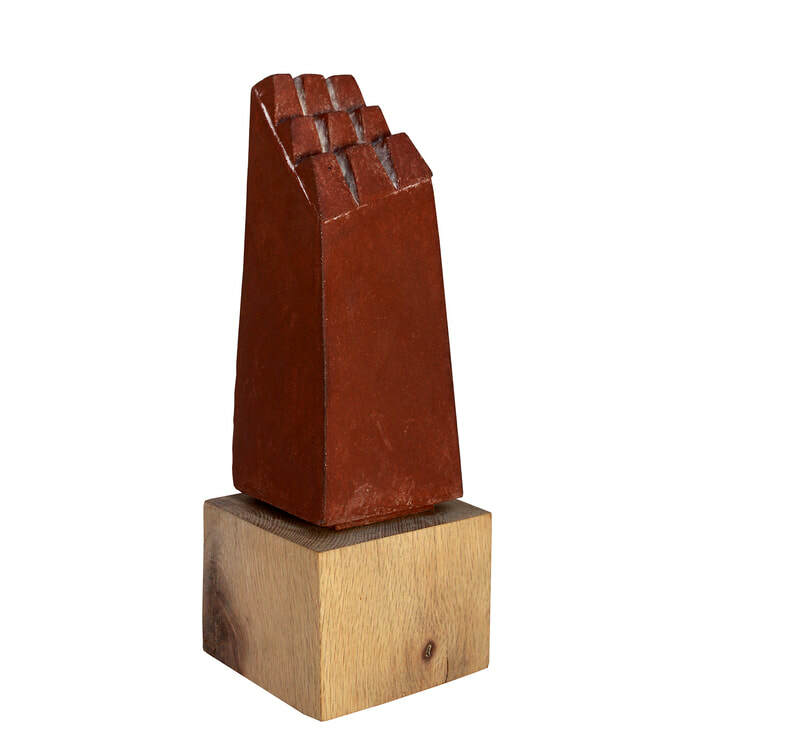 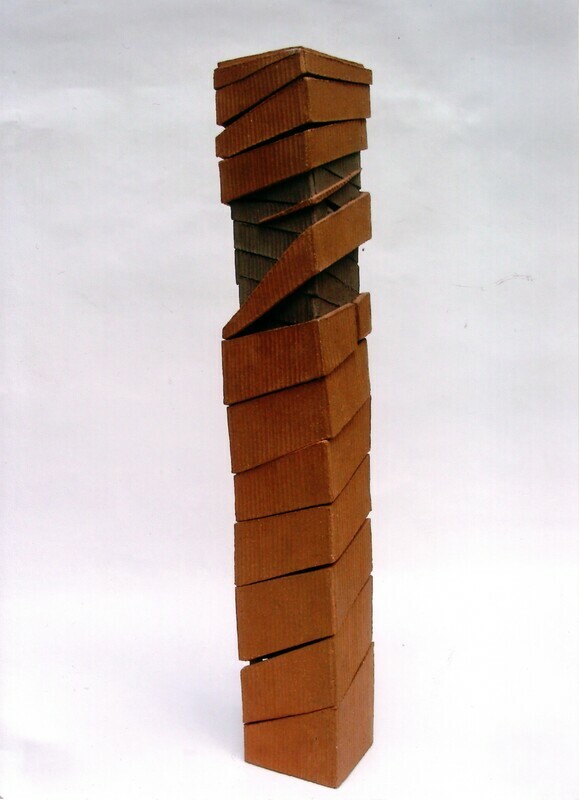 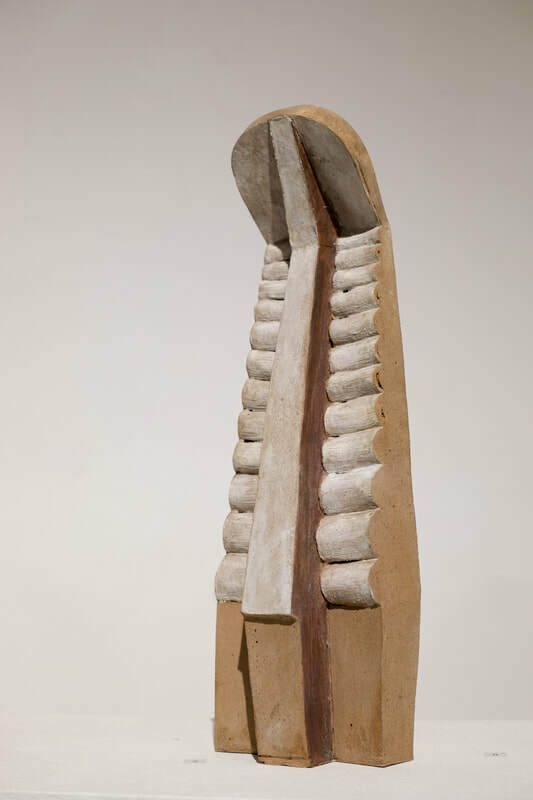 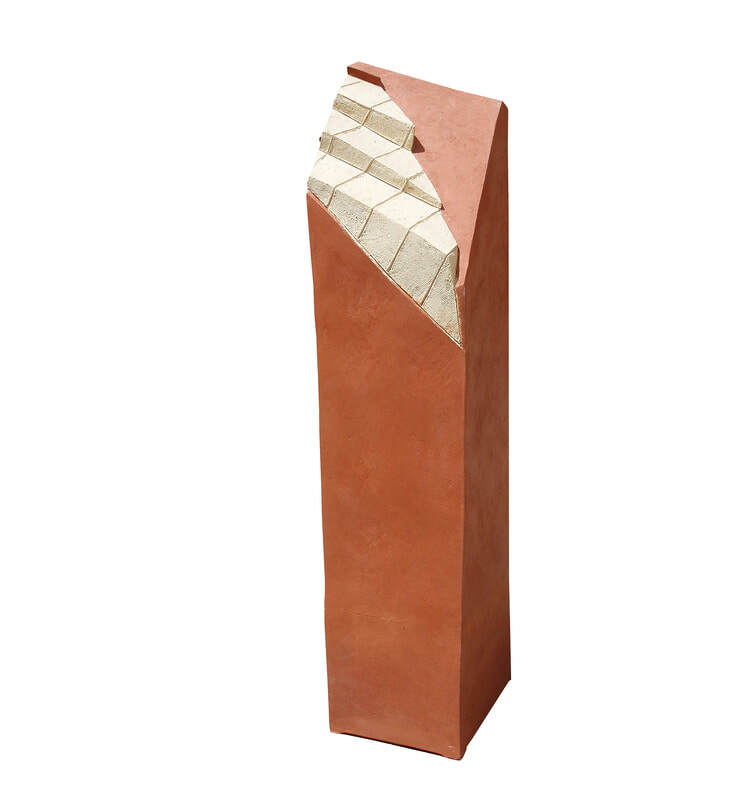 As far as Liviu Russuʼs creation is concerned, its echo was implemented in the series “Target” and “Construction‒Deconstruction”: suites of prisms (sometimes, of columns) achieved in wood, ceramic material (stoneware), bronze or stone, with a straight or a slightly tilted broken vertical ‒ the wound is clearly shown by the small or deeper horizontal and oblique downthrows, by the triangular bite carved on the trunk, by its worn-out striae […]. 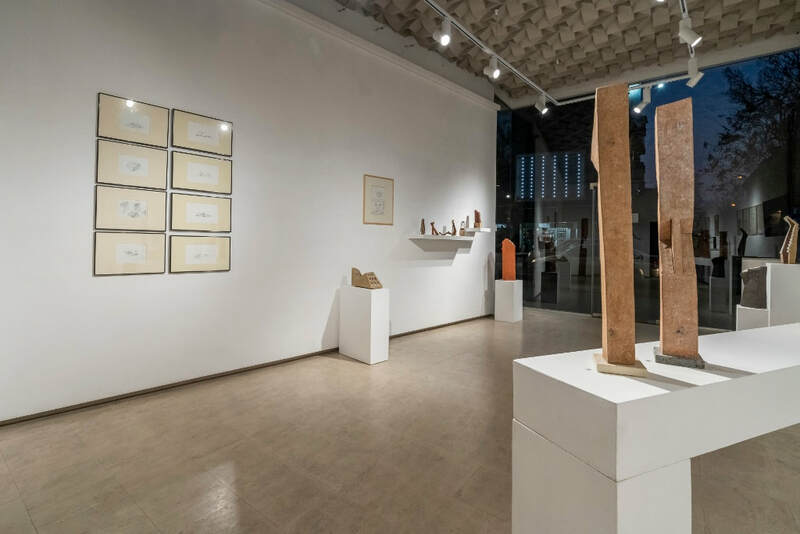 The exhibition can be visited in the period February 20 ‒ March 15, 2019.